Sebastian Vettel could become one of the greatest champions in Formula One history and go on to win more titles than Michael Schumacher, two of the sport’s most garlanded drivers said Monday. Jackie Stewart and Niki Lauda, both triple world champions, believe the 24-year-old German can go on and emulate his compatriot’s achievements providing Red Bull can maintain their levels of car design. And if he does, it will cement an era of German supremacy in Formula One. “He is unquestionably the most mature 24-year-old racing driver I have seen,” Stewart, champion in 1969, 1971 and 1973. “He has made slight errors, such as losing in Canada to Jenson Button, who was supreme that day, but his second world title is an incredible achievement for one so young.” “God gives you your natural talent, but it is what you do with that talent. So many people have let it slip away or abused it. Vettel hasn’t,” he added. Lauda, who took the title in 1975, 1977 and 1984, was equally effusive in his praise of the Red Bull star calling the record back-to-back titles the “best performance” racing has seen. “Theoretically, he can certainly win more than Schumacher if he sits at the right time in the right car because he himself is certainly capable of it. 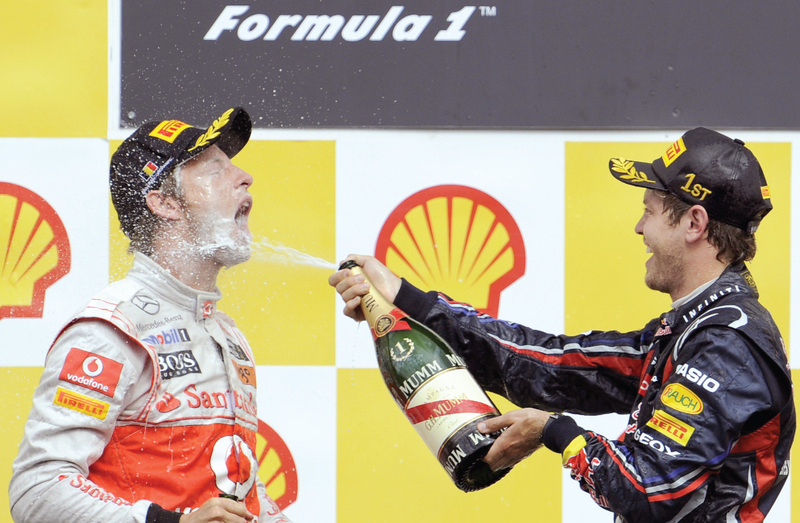 “If Red Bull were to keep their dominance there is no reason why Sebastian cannot keep winning. Vettel grew up idolising Schumacher and was still in kindergarten when the former ‘red baron’ started his career. Schumacher, the sport’s most successful driver, went on to record 91 wins and take seven championships. Before Schumacher made his debut in 1991, Germany had never had a driver who had won a race in Formula One, but in the 20 years since then they have dominated the sport.